Not being the healthiest person alive and getting by on around three to four hours sleep a night leaves my eyes looking and feeling a complete mess - dark circles under my eyes at times make me look like I've taken a good pasting from Tyson Fury after he's had a night on the Bolivian marching powder. A couple of products have managed to help combat the fine lines around my eyes, and some have even been successful in making me look as though life still courses through my veins. The latest product to get slapped onto my face in the hopes of resolving this is Bulldog Original Eye Roll-On. A tiny 15ml tube of the product will set you back under £10, yes, under a tenner and says that it will target dark circles (watch out IOC), revive tired eyes, reduce the appearance of fine lines and reduce puffiness. 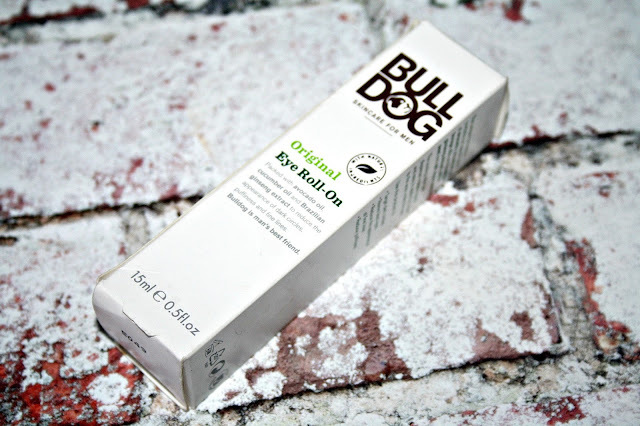 'Bulldog Original Eye Roll-On has a unique formulation which contains a special blend of avocado, cucumber and borage oils and Brazilian ginseng extract, millet seed and oak apple tannins. First up, it doesn't smell great, not nasty, just a bit eurgh. Sorry, but it does nothing to float my fragrance boat. That said, thanks to the metal roller only a minuscule amount of the liquid is spread onto the skin so once on the face you actually can't smell it - my smell assessment comes from rolling it onto my hand and giving it a good whiff. So, it has a metal ball to apply the liquid eh? Well yes, think of a scaled down roll-on deodorant stick and you are close to how this operates. 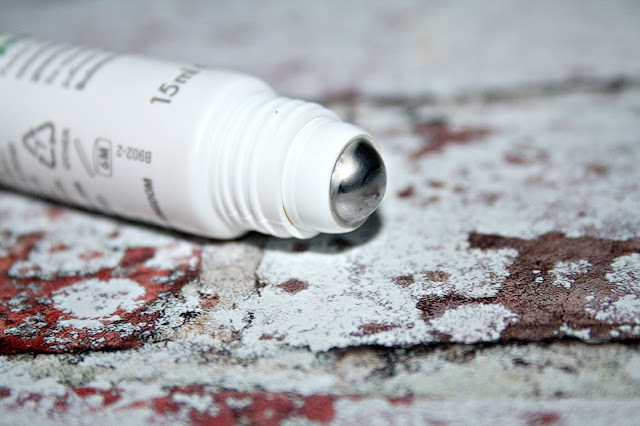 On the first application I liked how cooling and refreshing the rollerball is on my undereye and it also helps ensure the cream is massaged in, so no need to use fingers. I had to give the tube an almighty squeeze to get it going but once it's on its way the application process could not be simpler and thanks to the smaller ball, the chances of getting the liquid in the eye are smaller than Arsenal finishing in the top four of the Premiership this season, next season and the season after.....Top marks for packaging and applicator design. It certainly does, and it works really quickly. The liquid is absorbed in a stupidly quick time, a couple of rolls under and around my eyes first thing in the morning and last thing at night and I'm sorted. After just a few minutes I personally could feel the skin under and to the sides of my eyes tightening and within ten minutes the bags that had been glaring back in the mirror had reduced - the dark circles were dark no more - don't get me wrong, it hadn't eliminated them completely (I'd need cosmetic surgery for that) it was more of a pale flesh colour (my natural skin tone) rather than looking like an extra from Vikings. After an hour the dark circles had all but gone, leaving me with results I was really happy with and much better than I had expected. I have a soft spot for Bulldog products, their hand cream and moisturiser are really great affordable grooming products but this has taken the biscuit (translation: it's much, much better). 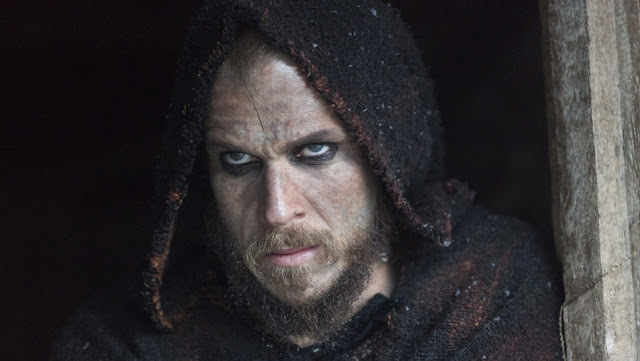 In terms of reviving my tired eyes, I can't say I noticed anything other than crippling tiredness but even so, the reduction in the dark rings, the tightening of the skin to reduce the puffiness under my eyes alone is enough for this, hell, I'd pay double. Affordable and it works - can't say fairer than that. 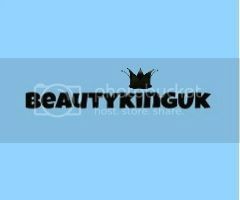 All Bulldog products are made in the United Kingdom and are certified to the 'Leaping Bunny' Humane Cosmetics Standard. I have not been remunerated or incentivised to write this post. This sounds like an interesting product, I have to admit I do like an eye roller the seem to be quite relaxing and soothing to the eye. Might have to get this for Ash. Bulldog is such a great company, my dad uses their stuff for his beard. I’m a sucker for having dark circles so will have to give this a go. 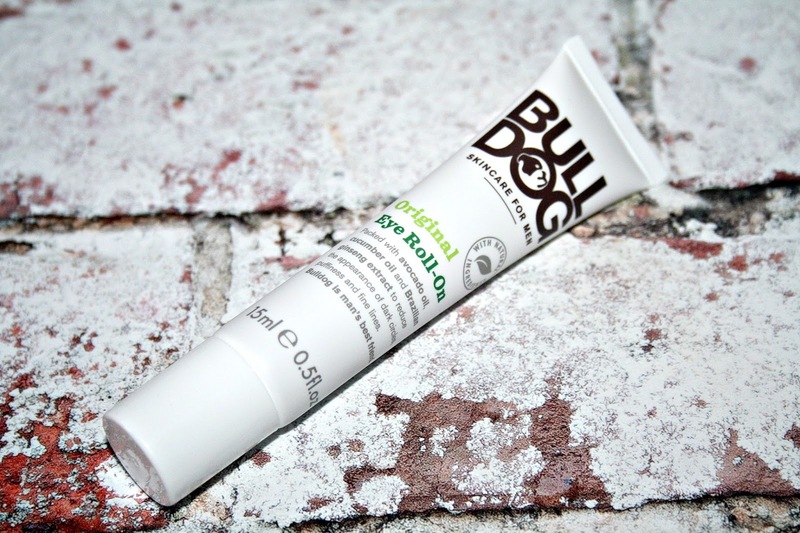 I love bulldog products- they're all my husband uses since we went cruelty free last year. I might have to treat the Other Half to one of these, with the lack of sleep our toddler gives us we need all the help we can get! Bulldog are a great brand - my husband uses some of their products. May get him to try this but will warn him of the fragrance thing! Sounds like a super product, but you really ought to sort out the reasons why you aren't sleeping properly - that's really too little sleep you're getting! Ooh, this sounds like it could be useful for me. With a teething baby in the house I'm definitely down on my sleep and showing it. The hubby could do with this. He's off to New York next week (jammy sod) but whenever he goes abroad his sleep is always compromised what with jetlag and his schedule. Oh I love these products with the metal ball, I think they are fab and I always store mine in the fridge! I haven't heard of this one yet! My wife is always on to me about my eyes looking too baggy. This could just help. My husband uses Bulldog product all the time and I love that they are a cruelty free brand too. This would be amamazing for my husband I like joop.